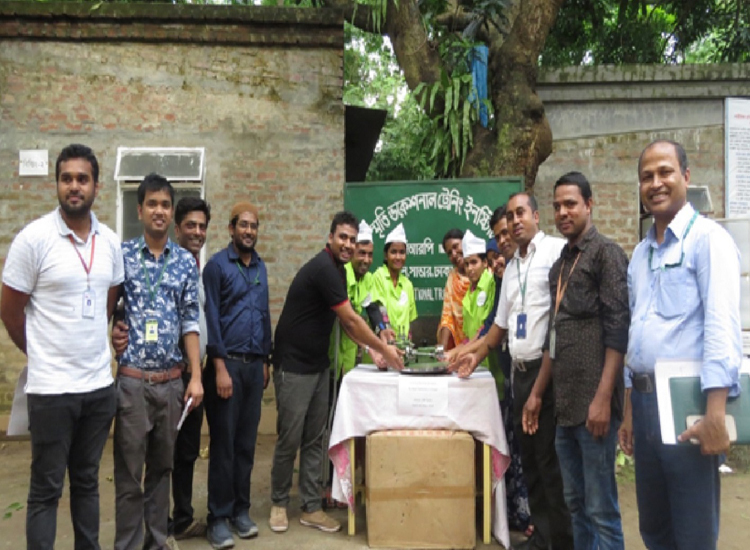 The Ajax Sweaters, a renowned readymade garments factory and a supplier of Marks and Spencer donated 12 industrial linking machines to CRP’s vocational training institute on 5th May, 2018. These machines will be used to train physically challenged people in linking machine operations. CRP, in collaboration with Marks and Spenser, started the Marks and Start project for providing industrial sewing machine and linking machine operation trainings to persons with disabilities. After successful completion of the trainings the trainees get jobs in different readymade garments factories through a selection programme.